Christmas Tree. To get the biggest bang from your Christmas tree buck, buy the tree early in the month. 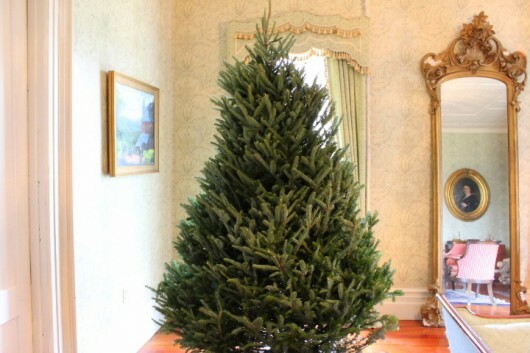 I selected a 9-foot Frasier fir for my parlor. I keep the tree well watered, and as cool as possible, by turning off nearby radiators. Evergreen Decorations. Spray evergreen wreaths, garlands, and mantel swags with anti-transpirant, and they will stay fresh-looking for the entire month. Tip: Want to light up your evergreens? Tuck African violets among the boughs. How I keep these houseplants in continuous bloom. Holly, Boxwood, Yew. Prune mature shrubs freely for decoration; drastic side pruning results in thicker central growth later. Florist’s Plants. The florist will have beautiful blooming subjects this month. 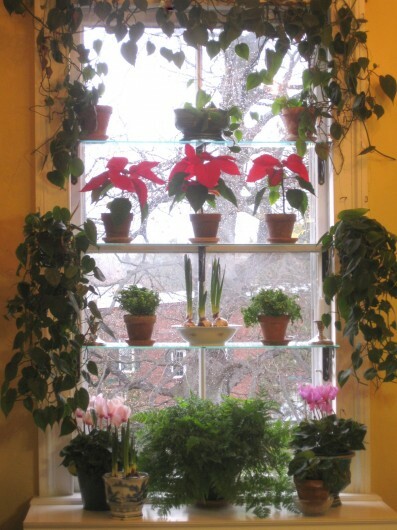 Why not add a few seasonal plants to enhance your window garden? 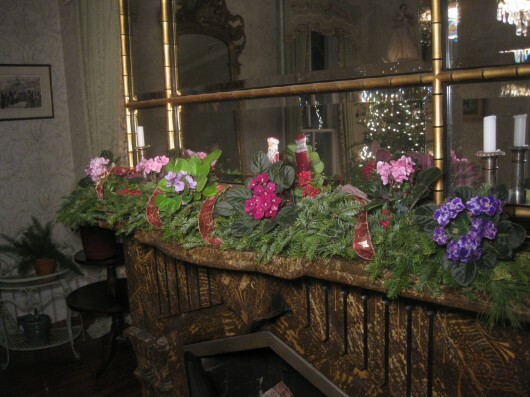 A rose poinsettia goes well with pink and white wax begonias; a pink or red kalanchoe will compliment your purple African violets, while the brilliant Christmas cherry will provide much-needed contrast to a collection of green ferns and vines. As with all florist’s plants, remove foil wrappings immediately — they are death traps. Paper-White Narcissi. Plant these early in the month for Christmas and New Year’s bloom. 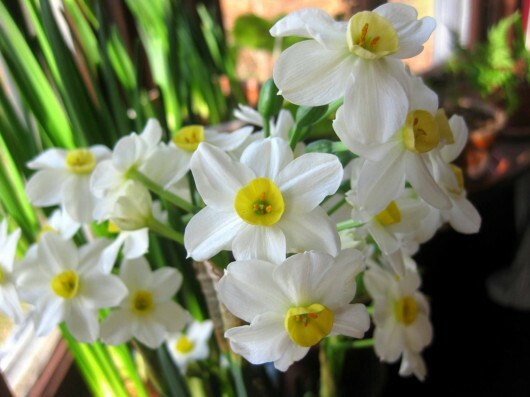 Flowering for me just now is the softly-scented, yellow-and-white Narcissus ‘Winter Sun,’ pictured above. Bulbs in Cold Storage. 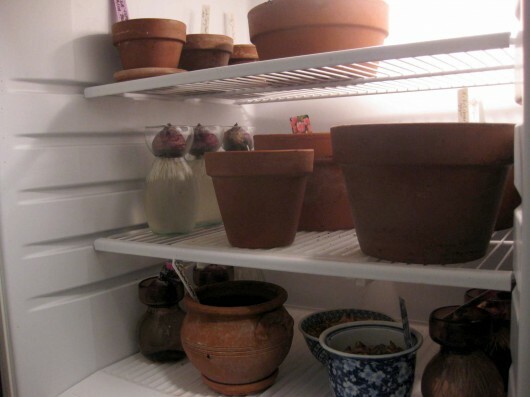 Don’t forget the potted Dutch bulbs or the vased hyacinths in your refrigerator, cold cellar, or slightly-heated garage. These must not be allowed to dry out if you wish to enjoy — as I do — a private, indoor spring that begins on New Year’s Day. Mulching. After the first hard freeze (not just a touch of frost), mulch roses and other perennials that require it. The goal is to keep them cold and unstimulated by occasional midwinter warmth. I use shredded leaves for all of my mulching jobs. Raised Beds. If you haven’t already prepared these for winter, better get hopping. Winter-Sowing. Plant your seeds outdoors in containers now (or in January), as I do, and in spring you’ll be rewarded with a forest of perennials, annuals, herbs and even vegetables. Enjoy these monthly tips? Let me know by leaving a comment. Kevin, I look forward to your post showing your lovely house and garden. I live in the south, last year we barely had a glimpse of winter. I enjoy seeing how the Yankees do things! I am decorating my tree but really wanting to winter- sow !! Hopefully I’ll have time before the end of the month with all the shopping and baking….ugh !! I’d rather be gardening !! So beautiful Kevin…. pictures of the decorated tree please!!!! Kevin, your photos are beautiful. 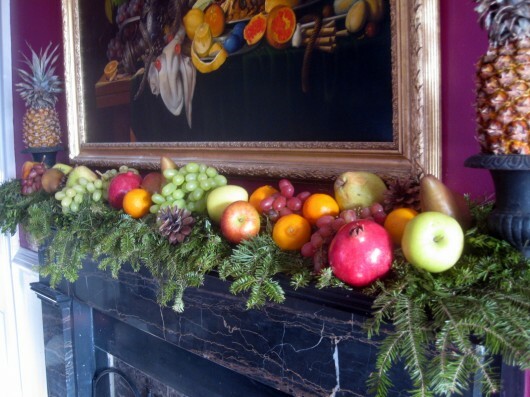 The mantel looks good enough to eat! A warm fall in SD is allowing me to continue garden work that didn’t get done. I can’t wait to try the winter sowing in January! The weather has been so warm in Cleveland that my plants are beginning to have new growth. Any suggestions? Pictures of tree and other decorations coming, I promise! Cathy in Cleveland – This strange weather is the new “normal.” My only advice is to mulch perennials when the ground freezes. Mulch will keep roots cold and unstimulated. I enjoy your photos immensely, Kevin, and also the monthly tips–thanks for sharing. My pile of shredded leaves is all ready (behind the garden shed) to mulch my 25 roses or so, once the ground freezes here in Northeast Ohio. Keep up the good work, and Merry Christmas! Kevin when you said you treated your tree with anti-transpirant – do you spray it with Wilt-Pruf or do you put some in the water? I’ve seen gardeners use that product both ways. Just curious what works best for you. Thanks! Hi Carol – A merry, merry to you, too! Sheri – I spray my tree with Wilt Pruf. And until you mentioned it, I’d never heard of adding anti-transpirant to the water reservoir beneath a Christmas tree. Hmmm…probably not a bad idea. I am chiming in with the other readers hoping to see your Christmas tree after you’ve added your spectacular personal touch. badger – What a story! And what a job, too, having to repair and raccoon-proof your attic! I love raccoons, but…not in the house, thank you! Many winters ago, and always at night, never during the day, I heard scratching sounds coming from my own attic. All I could imagine was some poor animal (or ghost!) trapped up there. My investigations revealed nothing. Creepy! Back in my bachelorette days I rented an upper flat in an 1898 duplex. One year I had squirrels in the attic. Not being the homeowner, I was not overly concerned but told the landlord. When she finally sent someone over to deal with them , the guy told me he took 16 squirrels out. Eeewww! I’m with you in loving wildlife, but not in my house. p.s. That house had some ghost stories too! Kevin, this information you are giving on using empty jugs to start seed in December is truly priceless and very apropos to our family’s life-style. I always smile when I see you’ve posted something new. Thank you for your ideas. I tried your winter sowing tip in the milk jugs. I’m successfully sprouting 6 gallon jugs of winter rye to put in my chicken’s salad bar! 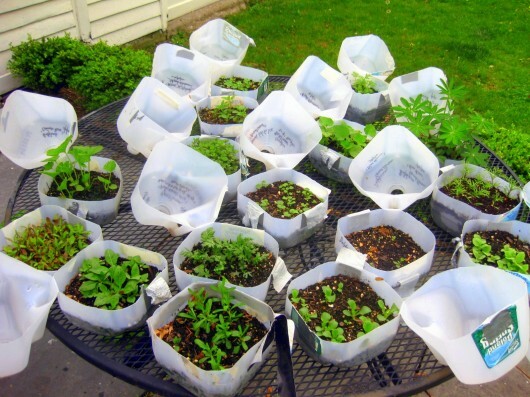 What a great idea – to recycle the milk jugs and germinate seeds in the winter! I can’t wait to transplant the rye so I can re-seed the milk jugs with perennials for my summer garden next year! I would love to try this for the first time, but I’m feeling a little insecure about giving it a go. 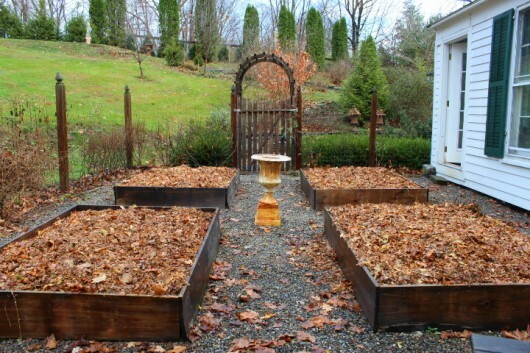 Do you have any advice for a beginner winter gardener?